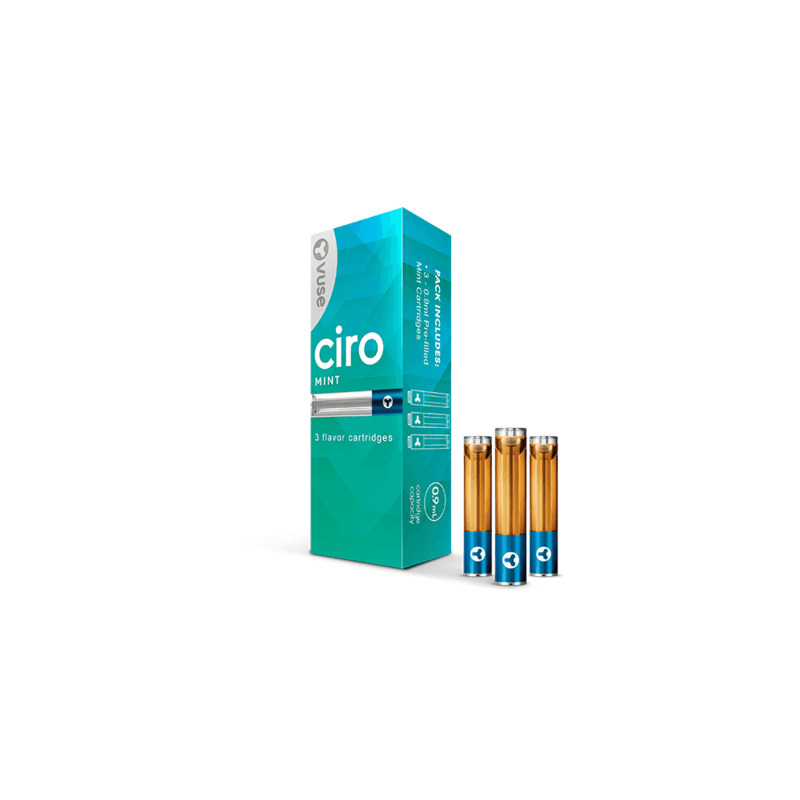 VUSE Ciro Mint cartridges are refill cartridges for the VUSE Ciro Kit, delivering a deliciously fresh mint flavor with subtle hints of tobacco for a complex, cooling blend. VUSE Ciro cartridges contain 1.5% nicotine (15mg nicotine), giving you delicious smoothness with every inhale. Sorry I don't have Facebook but it just like to say ...if I've ever had a problem it was taken care of fast . The mint is really nice and it doesn't have a after taste . Thanks for always being fair. If you're a fan of the Dunhill Switch Mint (Blue) cigarettes like I was, then you're going to like this. The flavor and the cooling sensation is very similar. The reason I dropped 2 stars is because the refills really don't last long. I smoke about 2 cigs a day, so each refill will last me for max 3 days. And at $15 for 3 refills, this is way too pricey. They should be selling the refills sets at max $10 to make it worth it. The ciro runs out quickly. Must faster than the vibe and its pricey. Battery doesnt last very long. Taste is great. The taste is better than the Vibe but the cartridges last only half as long. It does seem like a money making move to discontinue the Vibe. They have a really strong mint flavor that I love as a menthol smoker previously. I would just like them to last longer. I can go through 2 of them in a day. These cartridges are not worth the money, They don't last long at all.